Rohith joined Watsi on December 2nd, 2013. Two years ago, Rohith became the 2348th member to automatically support a new Watsi patient every month. Since then, 2,749 more people have become monthly donors! 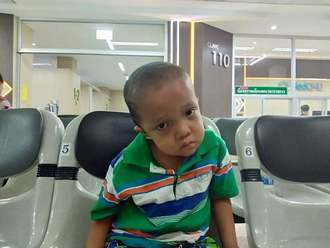 Rohith's most recent donation traveled 8,300 miles to support Kyaw Myat, a boy from Burma, to fund brain surgery. Rohith has funded healthcare for 38 patients in 12 countries. Chhum is a market inventory manager from Cambodia. He has one son, two daughters, and four grandchildren. Three years ago, Chhum developed a cataract in each eye, causing him burning, itchiness, irritation, and clouded lenses. He has difficulty seeing things clearly, recognizing faces, and going anywhere outside. When Chhum learned about our medical partner, Children's Surgical Centre, he traveled for two hours seeking treatment. On January 10, doctors will perform a small incision cataract surgery and an intraocular lens implant in each eye. After recovery, he will be able to see clearly. Now, he needs help to fund this $398 procedure. He says, "I hope my surgery is successful so I can see clearly and easily do my work." 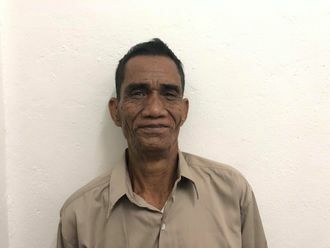 Sambath is a factory worker from Cambodia. He has a brother and three sisters. He likes to help his mother with her work in his free time. Eight months ago, he was in a motor vehicle accident that caused paralysis of his left arm. He has been diagnosed with a brachial plexus injury on his left side. The brachial plexus is a nerve network that transmits signals from the spine to the shoulder, arm, and hand. Injuries to this nerve network can result in loss of function and sensation. He is unable to move his left arm and has no sensation in his arm. 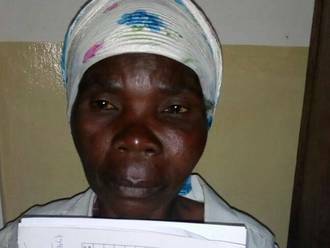 Sambath traveled to our medical partner's care center to receive treatment. On August 9, he will undergo a brachial plexus repair surgery. 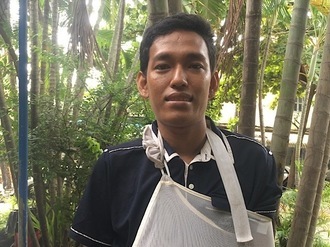 After recovery, he will be able to use his arm again and return to work.. Our medical partner, Children's Surgical Centre, is requesting $637 to fund this procedure. 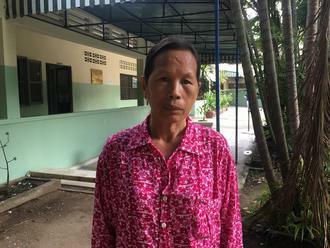 He says, "I hope after the operation I can return to work and use my arm easily without pain."